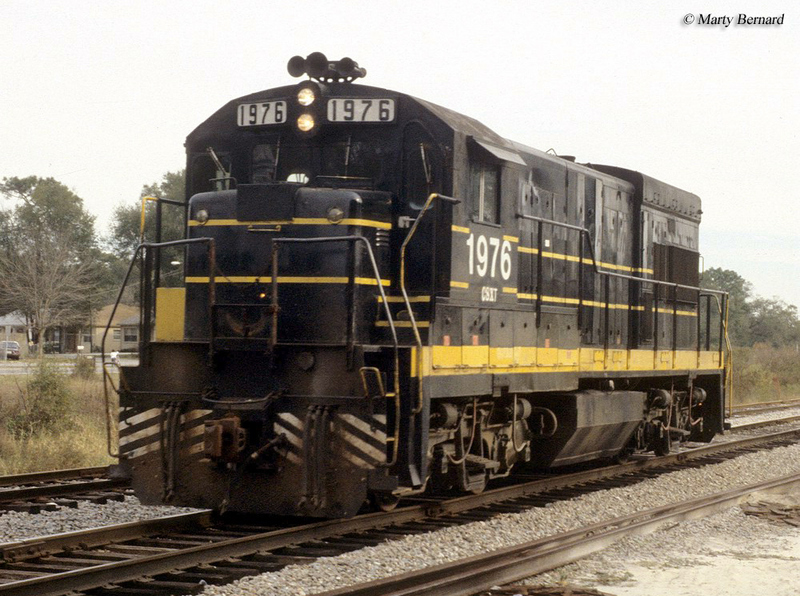 The GE U18B was a late model (one of the final Universal designs General Electric ever cataloged), 4-axle Universal design which the company intended to market as a secondary, light branch locomotive. While GE did sell more than 150 U18Bs overall it was not an extremely successful model as railroads generally did not buy many "specialty" designs (i.e., those intended for a specific purpose) and the unit bore complaints about being underpowered and somewhat suffered from reliability issues. Additionally, considering that the model was a second-generation class diesel railroads could employ units of their first generation fleet for the same type of work the U18B was designed for, all without spending a dime. Still, interestingly, a handful of U18Bs remain in operation today, notably on the Pickens Railway, a shortline operating in South Carolina. The GE U18B began production in March, 1973, interestingly towards the very end of the Universal line's production run. 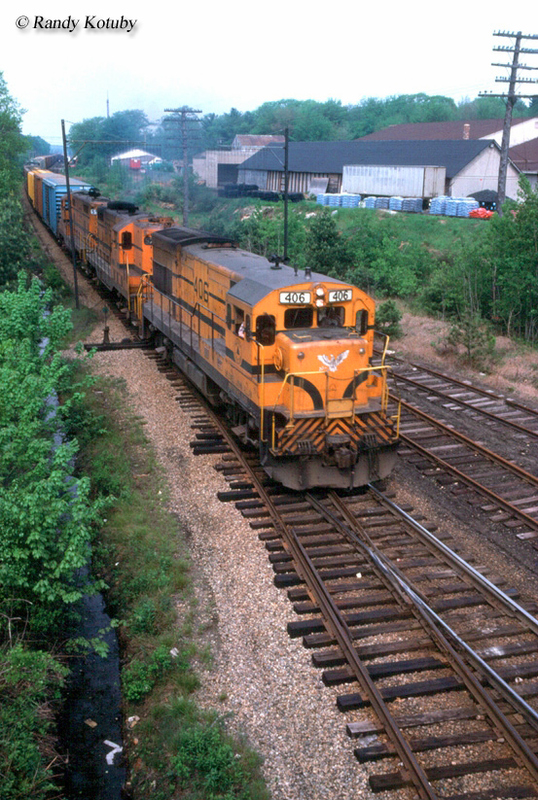 Like the U23C, the U18B utilized a unique version of GE's 4-cycle FDL prime mover which featured only eight cylinders that produced 1,800 horsepower. While virtually all GE models built during this time featured the now-well known flared radiator due to the low horsepower rating of the U18B this simply wasn't needed, which made it appear as an early Universal model. Still, the U18B was easily identifiable by its much shorter frame, as it was only 54'-08" in length and weighed just 219,000 pounds. 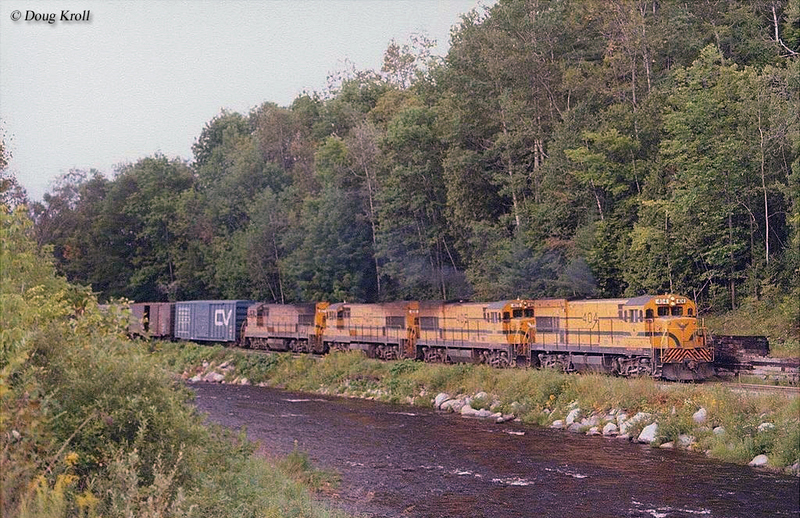 Interestingly, even though the locomotive was relatively light and carried a short frame it did offer quite a bit of tractive effort using refurbished Blomberg trucks; 83,500 pounds of starting effort and 57,500 continuous (by this point virtually all diesel locomotives came equipped with dynamic braking). As was generally case when it came to locomotives railroads were more interested in models which could perform multiple tasks rather than one which was intended for a specific purpose. Thus, GE had a tough time selling the U18B although it did ultimately outshopped 163 to two Class Is (Maine Central and Seaboard Coast Line), a short line (Providence & Worcester), a utility (Texas Utilities), and Mexican railroad Ferrocarriles Nacionales de México by the time production had ended in October, 1976. Had it not been for the SCL, GE's sales of the U18B would have looked very poor. 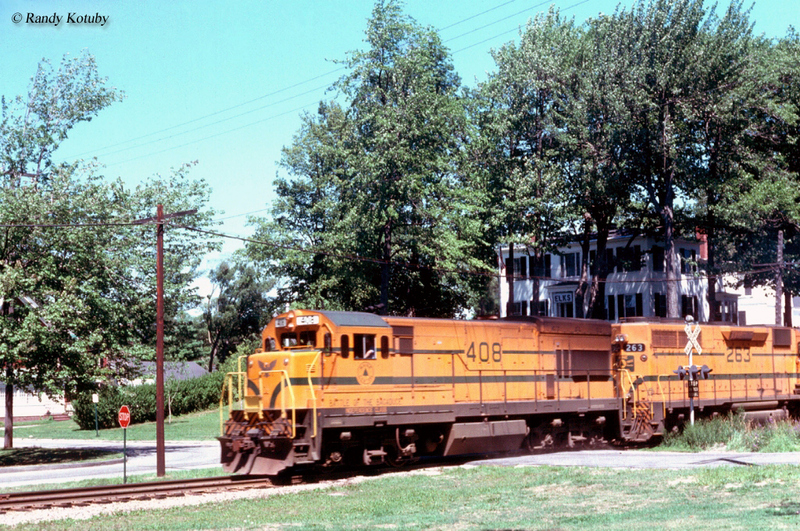 However, the railroad by the 1970s was becoming an increasingly loyal customer of the company and purchased 105 between 1973 and 1974. Production on the U18B had ended by October, 1976. Apparently the unsuccessful nature of the model convinced General Electric to scrap any plans to released a follow-up design, which would have been known as the B18-7 as part of the company's new "Dash 7" series (offering new electronics among other features). Perhaps it required GE to learn its lesson the hard way but it came to find out what earlier builders like Alco, Baldwin, and Fairbanks-Morse (by then long gone from the market) already knew; railroads love redundancy and usually do not respond well to specialized equipment suited for a particular task. Today, again, you can find a handful of U18Bs still in operation on short lines although there are none known to be preserved. For more reading about GE's U-boat line the book U-Boats: General Electric's Diesel Locomotive by author Greg McDonnell provides a complete history of the company's first production diesel models. Also, noted historian Brian Solomon has authored a number of books covering the history and background of GE's locomotives. Two, which provide a general but thorough coverage include GE Locomotives and GE And EMD Locomotives: The Illustrated History. As with virtually all of Mr. Solomon's you can expect a well-written title with large, crisp, and sharp photographs.